Will credit companies approve me before running my credit? I'm looking for credit cards with high credit limits. I'm trying to find out which company will approve me before letting them run my credit so that it does not lower my credit score. Understand that creditors need to review your credit history, before offering you credit. Search for the best credit card offer you can find. Unfortunately, I do not know of any credit card companies willing to approve you for credit before pulling your credit report and credit score, as lenders need to know how much risk they are taking by offering you a credit card. Therefore, each time you apply for a credit card, a credit inquiry will appear on your credit report. Generally speaking, multiple credit inquiries on your credit reports can have a negative impact on your credit rating, as most scoring models regard a lot of credit inquiries as a sign of higher credit risk. The reasoning behind this aspect of credit scoring is that applying for a large amount of credit can indicate financial problems and looming default. Also, the credit bureaus’ statistical studies have shown that people who have applied for a lot of credit recently are more likely to default on their accounts. However, the credit bureaus’ scoring models purport to be able to distinguish between those consumers who are attempting to open multiple lines of credit and those who are simply shopping around for the best deal. SO, I'd still suggest looking for a credit card and applying with one or more to get the best deal. You should search for a credit card that meet your needs. The bureaus will compare your credit by grouping inquiries for a single purpose, such as inquiries from credit card companies, within a certain period of time into a single inquiry instead of multiple individual inquiries. The time frame used for the groupings varies between scoring models; FICO currently uses a 45 day “shopping” period. For example, if you apply for credit with 50 different banks within a 45 day period, all 50 inquiries created when the banks pull your credit would count as a single “shopping” inquiry. This single inquiry may slightly ding your credit, but certainly not as much as 50 individual inquiries would damage your score. When you view your credit report, you will see individual inquiries, but the inquiries will be lumped together when your credit score is calculated. Of course, we all know that credit reports are not perfect, so while in theory the bureaus will lump all inquiries for the same purpose together, it does not always work as desired. So, my recommendation is to shop freely, but only actually apply with banks from whom you actually would want a credit card. The fewer inquiries during the shopping period, the less likely an error will occur. Once you have obtained the credit you need, review your credit report and credit score to make sure that the inquiries from your shopping episode are appearing properly and that your credit score has not dropped significantly. If your score has dropped, it may be a sign that the inquiries are not being properly grouped by the bureaus, and you may want to file a dispute with the bureau(s) in question. 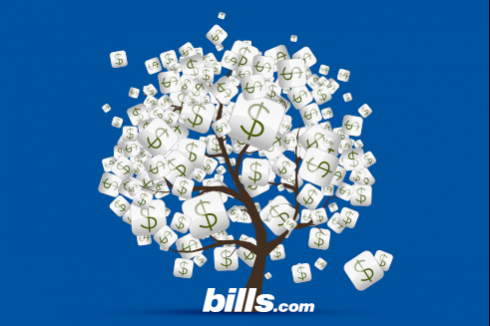 To read more about credit, credit reports, credit scoring, I encourage you to visit the Bills.com Credit Resources page.